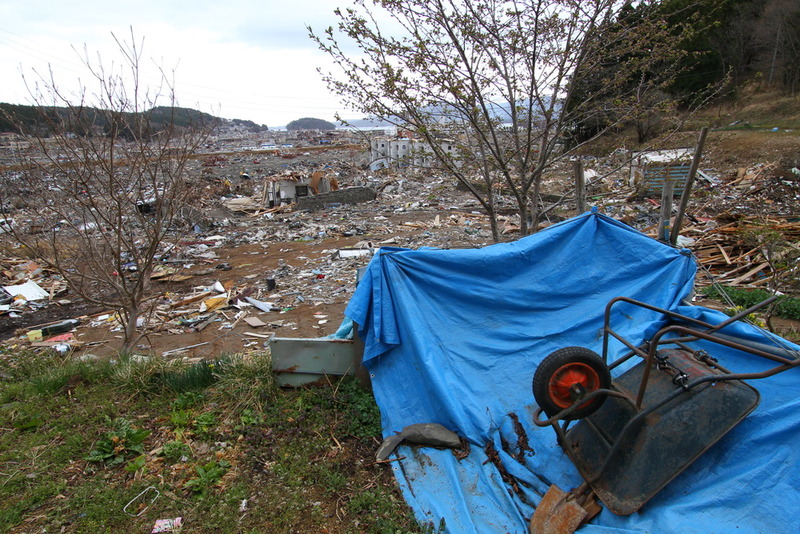 0441- A wheelbarrow waits on elevated ground above the devastated city of Minami-Sanriku, Japan. Leaders of Japan's reconstruction panel say it might take more than 10 years to remove debris and rebuild northeastern Japan. 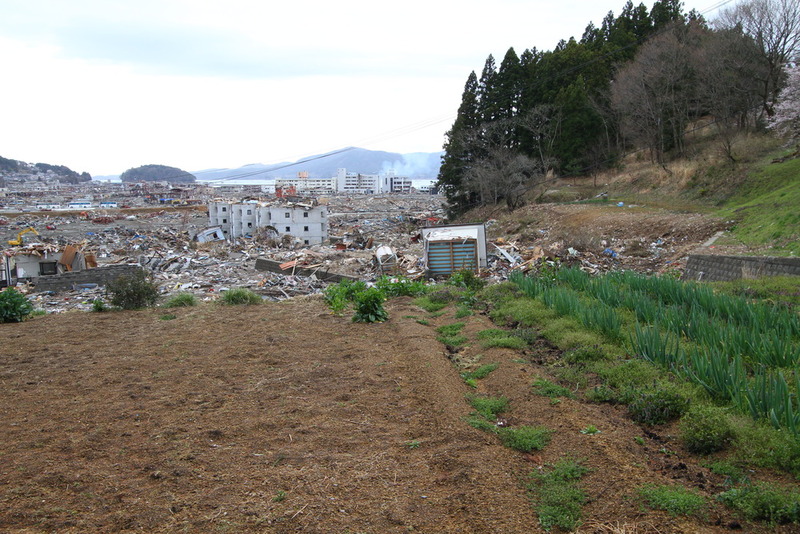 0438 -Survivors have already begun planting crops on elevated ground above the devastated city of Minami-Sanriku, Japan. Leaders of Japan's reconstruction panel say it might take more than 10 years to remove debris and rebuild northeastern Japan. 0575 – Cars and debris sit atop a three-story building beside a hill a few miles from the sea in the obliterated city of Minami-Sanriku, Japan. Leaders of Japan's reconstruction panel are calling for rebuilding settlements on high ground. They say fishermen and others who must live near the coast should live only in solid buildings at least five stories high.